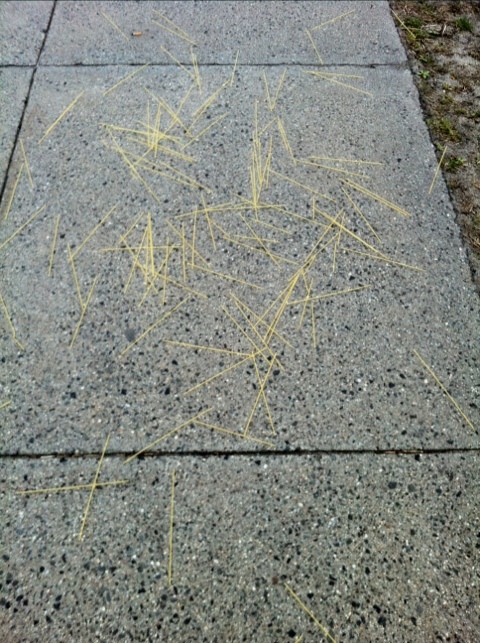 Looks like somebody spilled their spaghetti. i thought that the pasta packet was sealed at both ends. i picked it up and the packet basically exploded and fell all over the floor. i was overwrought and tired. so i sat down on the kitchen floor and cried at the mess i made!